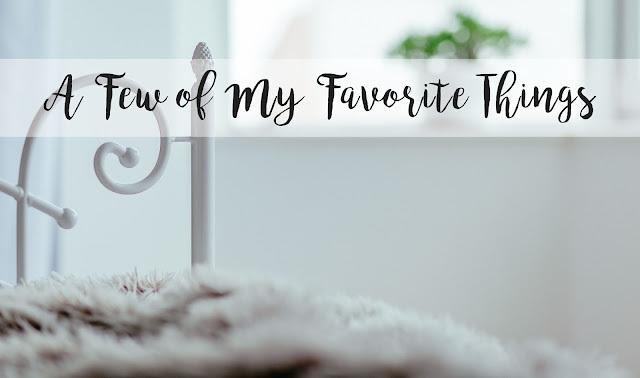 I love the song 'A few of my favorite things' and I wanted to share some of the simple things in life that I love. I've seen some other bloggers do these and most of them are more like current favorites but I want to talk about the simple little things in life that I really love. Like the song. I love when it's crisp and cold and the sun is really bright. Something about the cold air mixed with the bright light is just amazing to me. Maybe it's because we associate bright sunshine with hot summer or maybe it's just because I love the cold. I adore days where it's gray and cloudy all day and it's pouring or drizzling rain non-stop. It make everything feel cozier and it makes the lights look brighter. I also love how fluorescent lights look on gloomy days. Speaking of rain I love thunderstorms! Thunderstorms at night are the best ones! I love thunderstorms anytime but I love them at night the most because you can really see the lightning. I love bright lightning that lights up the entire sky and the strong bolts and make loud cracks when they strike. I can not express how much I love insanely loud thunder. When it storms and the thunder is really loud I turn off the TV or whatever I'm listening to and just listen to the thunder. If there is any lightening I'll turn off the lights and pull back the blinds and just watch the sky. I also really love the sound of rain. I love when it rains so hard you can hear it over the whatever you are doing. So basically I love when it rains and sounds like a bowling alley. If you go to my photography instagram you'll see that about 80% of the photos are sunsets, if not more. I just love the colors! I really want to do a photography project where I take a photo of the sunset from the same spot everyday for a year. I grew up in a small town in West Virginia. My Aunt had a place out in the country with woods that connected to the park. I spent every summer hiking with my family and playing outside in her backyard. Every summer evening you could here crickets and tree frogs. I love hearing them so much. I could lay out and listen to them for hours. A weird one but I just love the sounds of bubbles in water. I want to get tank of water with a bubble machine and a light. I also really love the reflections of light through water. That combo would be so relaxing! I love to bake it is so relaxing! And the smells that come from the oven are amazing! I love tea. I am from the US but my UK heritage is strong I drink tea everyday. My mom is from South Carolina so I grew up on Sweet Ice Tea. I love hot cups of tea and I love ice tea. I just really love tea. Who doesn't love a good book. Mixing a couple of these together. I love chilly, rainy spring/fall days curled up under a throw blanket with a good book and a hot cup of tea. I collect old cameras. I love photography and old cameras. I want to learn how to develop film and start using old cameras but for now they are just pretty mantle pieces. I couldn't do a post about my favorite things without including lipstick. If I could only wear one product for the rest of my life it would be lipstick. I love getting new lipsticks! These are a few of my favorite things. When I'm feeling sad, I remember a few of my favorite things, and then I don't feel so bad. What are some of your favorite things?